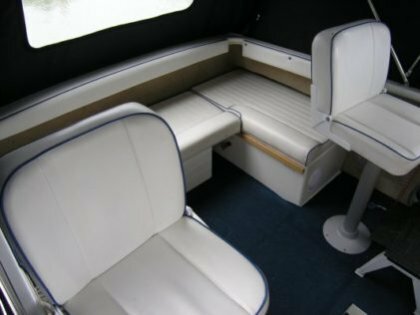 The Shetland 4plus 2 is a well designed cruiser which has been in production for over 15 years and over 500 have been built. The craft has a semi displacement hull which helps handling at low speed. This cruiser will take engines up to 90hp being fitted. 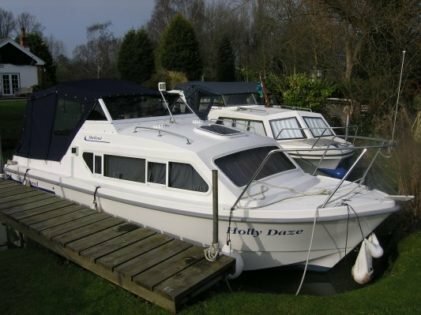 The accommodation is 4 berths in an open plan cabin, with 2 berths in the bow which convert to a double. A dinette area on portside which converts to a further doublke berth with galley opposite and a separate toilet compartment. 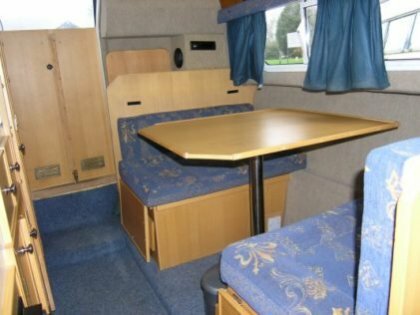 The cockpit has helm and bench seating around the stern which convert to a further double berth, The craft is available as a soft top or hard top version.